There is a certain art in bridging theory and practice. It also takes a certain kind of mindset to take theory and turn it into practice. Practitioners, on the one hand, must always live the contradiction of practicing little of what is theorized, while preaching a slowly deteriorating set of rules. Theorists, on the other hand, take so much time in finding an application to their knowledge, one almost finds it almost impossible to contradict them. There’s an age-old story of theory versus practice and it has reigned over many disciplines, performance management included. For starters, performance management is a very subjective discipline. There is little to no standard application of theoretical concepts and everything is open to interpretation. If one searches to find the one application that fits all organizational contexts, one is bound to embark on an almost endless search. Even with a standard framework to use and apply universally, the results will differ from one circumstance to the other. 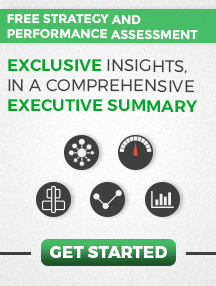 Within the performance management discipline, every organization is a unique and independent case study. 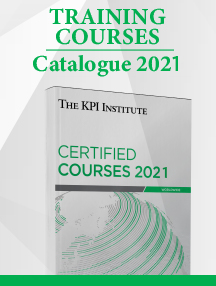 Moreover, novice frameworks similar to The KPI Institute’s performance management and performance audit frameworks take time to be applied and tested in real-life contexts. 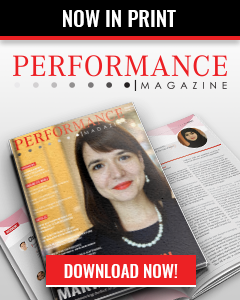 A newly implemented performance management system takes years to mature, and it takes even more to assess the impact it has on the organization overall. There is use of strategic planning, objectives, KPIs and initiatives in organizations worldwide. While formats may be similar, there is little to no standard application of these performance management tools in organizations nowadays. 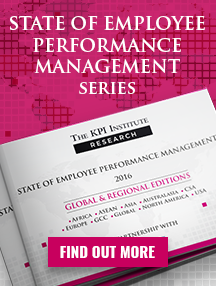 There are as many performance management systems out there as there are organizations in the world. The Balanced Scorecard system, however, remains the most popular performance management systems around the globe. A top issue and most controversial item on the agenda of both public and private organizations today, employee engagement is one of the main reasons for KPI usage and performance improvement. KPIs are now seen as an edge in driving engagement and communication within the organization. KPI target setting is one of the performance measurement processes that is most generally used and acknowledged at the organizational level. There is a visible turn to process performance KPIs as an expression of increased insight into operations that can effect more significant change. 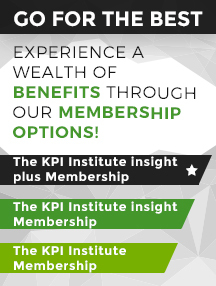 There are lists of KPIs and then there are the real KPIs, used to build actual organizational scorecards. For comparison, we have taken a list of Human Resources KPIs on the left, and opposed them to the scorecard of an HR department developed for a client organization, on the right. One can notice that in the real world, outside theory, KPIs cannot really function in the absence of organizational objectives. The Scorecard helps group objectives under relevant perspectives, on the one hand to maintain a balance between financial and non-financial KPIs, and on the other to help identify the areas of most concern for the organization. In essence, it is all a complex exercise of simplifying elaborate organizational practices, of facilitating a language that makes it easier to skim through organizational layers and functions with the ultimate ability to understand what is happening. Understanding what the organization does, the way its internal functions interact, gives you the practical side of KPIs. It all seems easy; however, it is far from it. What performance management does is focus most of its practice on the human element. So much so, that there are people out there who actually always refer to employee performance management when they speak of performance management. It seems only suitable then that the newest keyword in performance management should therefore be “resilience”. An adamant drive to exceed expectations for the greater benefit of one’s self, one’s colleagues and the organization overall. Many people do not even get to stay in the performance management business long enough to understand the difference between theory and practice. But those that do, get it. There is truth in theory as much as there is in the deterritorialization of theory in practice, but there are also truths in practice that sometimes make theory seem like child’s play.